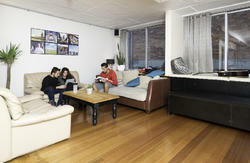 Landing Pads Brunswick is an easygoing, open minded hostel, located in the heart of Brunswick. We have a fully equipped kitchen and dining area, three bathrooms to choose from, Television lounge, sun porch, side courtyard and garden BBQ area out back. Brunswick is an awesome suburb, with great transport, trams/trains just minutes away. Supermarket 200m and heaps of cheap amazing bars/cafes on Sydney road to discover. 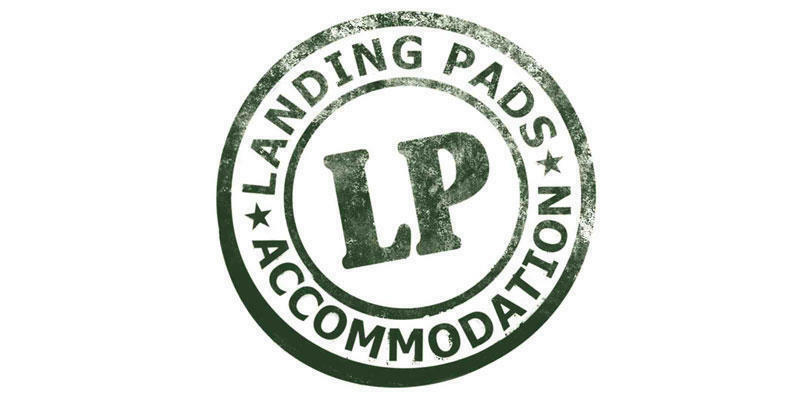 Here at Landing Pads we offer fast WiFi Internet, no charge and unlimited, job contacts and tutorials, weekly social activities, big fluffy towels, tea, coffee and sugar, washing powder and fabric softener, a vegetable and herb garden, and a free 7 day gym pass! We know it's hard moving to a new country or city. Landing Pads is set up to help Independent travellers looking for work in Melbourne. We have local job contacts and provide free job seeker tutorials, designed to get you working fast and getting paid well. We have big rooms with lots of space and heaps of extras like sofas, study desks, storage and our dorms have personal reading lamps, privacy curtains, free lockers and a big balcony overlooking the city. 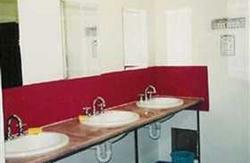 Guests stay weeks not days at Landing Pads, which means the hostel has a great culture more like a big share house. We also have a house cat called Toby. 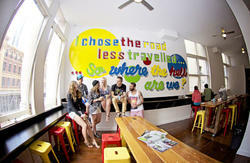 Landing Pads Brunswick is an easygoing, open minded hostel, located in the heart of Brunswick. We have a fully equipped kitchen and dining area, three bathrooms to choose from, Television lounge, sun porch, side courtyard and garden BBQ area out back. Brunswick is an awesome suburb, with great transport, trams/trains just minutes away. Supermarket 200m and heaps of cheap amazing bars/cafes on Sydney road to discover. Here at Landing Pads we offer fast WiFi Internet, no charge and unlimited, job contacts and tutorials, weekly social activities, big fluffy towels, tea, coffee and sugar, washing powder and fabric softener, a vegetable and herb garden, and a free 7 day gym pass! We know it's hard moving to a new country or city. Landing Pads is set up to help Independent travellers looking for work in Melbourne. We have local job contacts and provide free job seeker tutorials, designed to get you working fast and getting paid well. We have big rooms with lots of space and heaps of extras like sofas, study desks, storage and our dorms have personal reading lamps, privacy curtains, free lockers and a big balcony overlooking the city. Guests stay weeks not days at Landing Pads, which means the hostel has a great culture more like a big share house. We also have a house cat called Toby. Brunswick is a cool suburb and one of the first in Australia to get fibre optic internet, that's why we're able to provide unlimited lightning fast broadband Internet for free. It works all over the hostel :) If your looking for a longer term stay in Melbourne and want to share the culture and live the adventure, then landing pads Brunswick is for you. TAXI - If there are two of you TAKE A TAXI it's the same price as public transport but much quicker. Walk one block to Sydney rd one block up on the right hand side is Blyth street, we are number 13. TRAM - Take the number 19 Tram from Elizabeth Street ride to stop 24 'Blyth Street' and we're 50m away.